A gentle breeze, waves kissing the shore and the the sweet fragrance of orchids bring an intoxicating ambiance to your destination wedding. 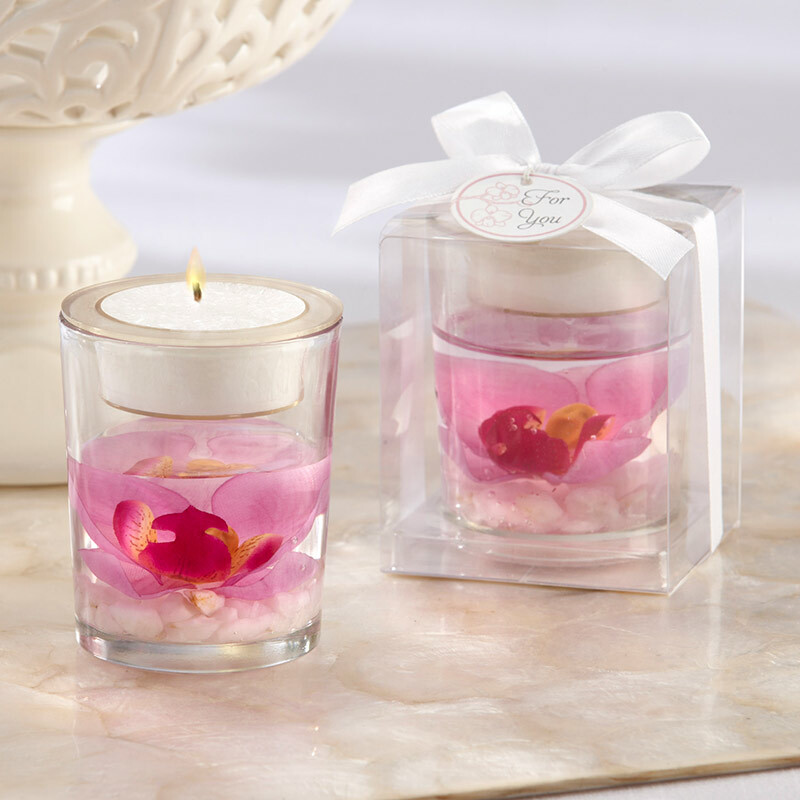 What better thank you for your guests than to be able to take home the essence--and the memories--of your wedding? 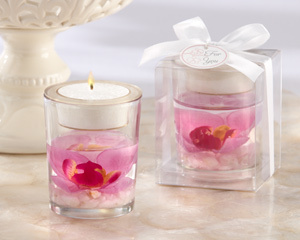 You'll find it all in Kate Aspen's fascinating orchid tealight holder.